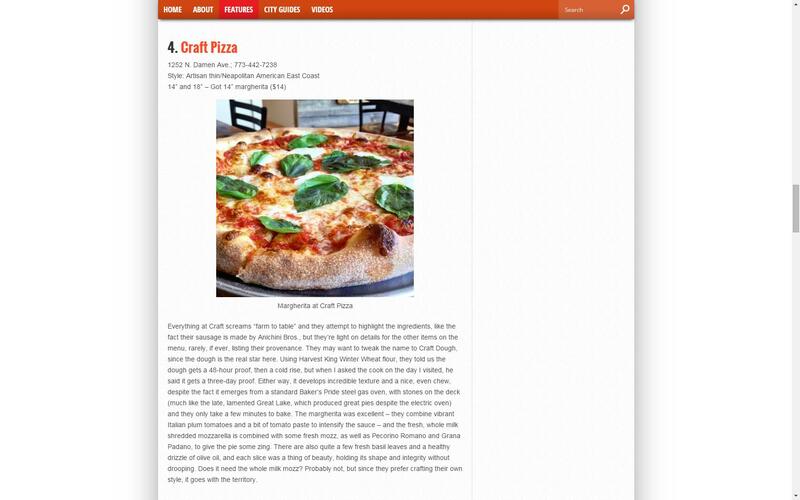 Craft Pizza Named Top 5 Artisan Pizzerias by Chicago’s Hungry Hound, Steve Dolinsky! 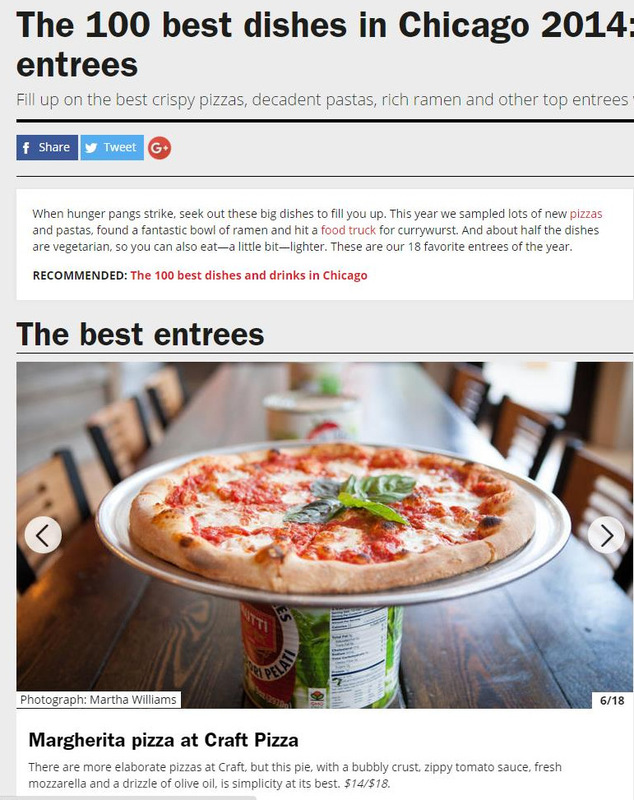 Craft’s Margherita Pizza Named Top Dish of the Year by Time Out! 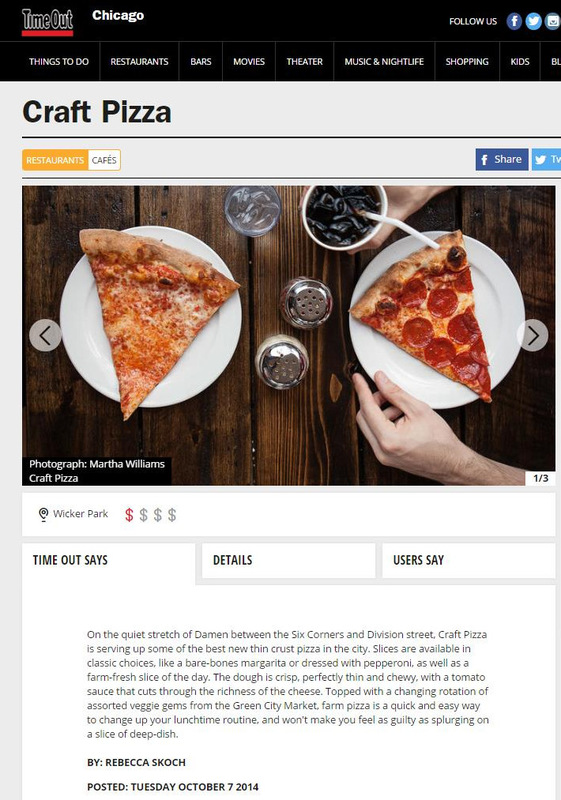 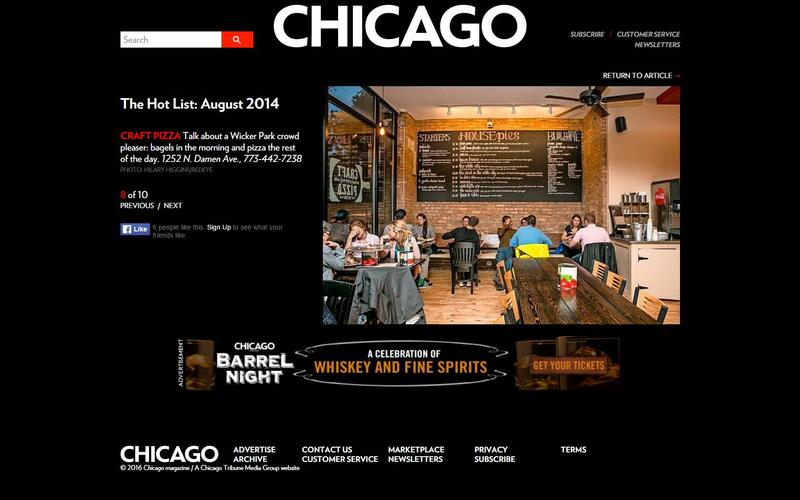 Zagat Names Craft Pizza to Top Ten HOT List!